Heehehehe I just started work on overhead panel I want to replace my old one with better one.Ok I will not do overhead if you say so.Can I do on engine panel? Will I work on your edited textures or my old one because you edited positions and other stuff? How It look is it better?Is it to blue? I just take picture from real airbus so will I leave it like that? No need to spam single questions in multiple posts. Go with the look you think that's best, do the pedestal and engine panel. You can start over on the pedestal if you want, as long as it accounts for the changed switch positions. I cant install your new panel.It something with textures everything on engine panel and autopilot panel is weird.Landing gear lever is on aircraft computer screen (those fake CDU).No autopilot dumbers.I will post picture. I hope you installed it according to the Readme. François, the N1 climb limit is linked to the N2 number so the power is about 10% less than it should be and that really takes effect at 30,000+. It can often lead to a stall when heavily loaded. It's definitely like that on the A321 IAE and I am pretty sure the rest too. Bjoern, you stated at the start your project was just for the a320, but now it seems it's going to be for the other 3 a32x planes, is that right? Are you going to carry on doing it for the a330 and possibly others if we get that far? Coki, use the edit button to add things to your old post if your post is the last one. Work on new HD texture update.It will be best one so far. Bjoern I will do textures for default project airbust first.When I finish we will make textures compatible with your version of VC.Some player play on default some on your VC.I want to make textures for all.But first I need figure out how install your VC.I installed it last time good but now something is wrong.I followed your readme. Bjoer I really cant install you VC.I tried and tried but nothing.I cant figure out what is whit it.I read read me and step by step but nothing.I am not noob in installing those thing as you can see of textures.I also edited boeing 737 but I cant install your panel??? WHY??? try to check you files or make it ready just to put it into aircraft folder. Sorry Coki, I won't jump through hoops here just because the updated cockpit does not work for you. 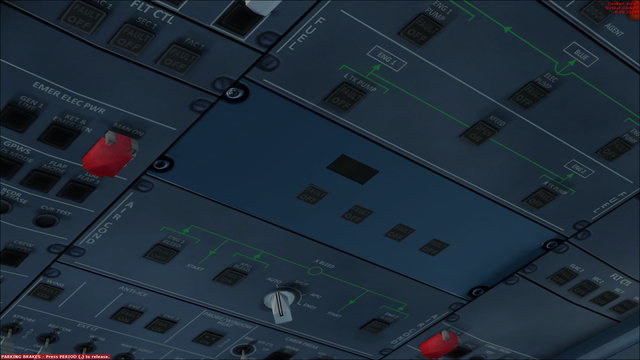 Do the textures for the deafult A321 and leave the ones for the A32x cockpit for later. I would have thought doing textures for the A330 would have been the route to go. We have a flyable plane but the TR textures are really horrible, as are the textures for the a340 and a380. They would be massive upgrades compared to the small upgrades for the A32x. You want to do textures for a330 cockpit? 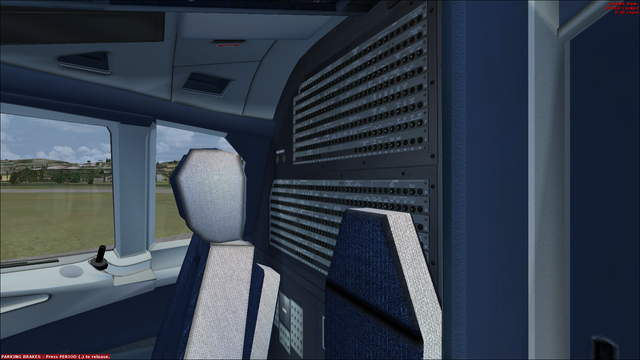 François released an A330 beta a while ago with both the a32x cockpit and the original cockpit. Maybe have a look at the original cockpit and talk to François to see if anything can be done. Last edited by moskito-x on 16 Feb 2018, 20:14, edited 1 time in total. Last edited by moskito-x on 16 Feb 2018, 19:26, edited 1 time in total. What are the changes and/or (added) features? How can I install liveries here other than the pre-given liveries? The manual at pages 6-7 show the workflow. I have tried now and it works. Okay. Any Feedback from Navigraph regarding AIRACs? First I have to finish the AIRAC import. That's fine by me. I still have an AIRAC saved on disk somewhere. I would like to urge all official "Airport Creator" to get and use the "FMC Airport Manager". It looks like the many mistakes are accepted. But an application that helps to find these is simply not used. Here again only a part of the many mistakes. Next we can see that only "1" one is used but "2" data lines are available. 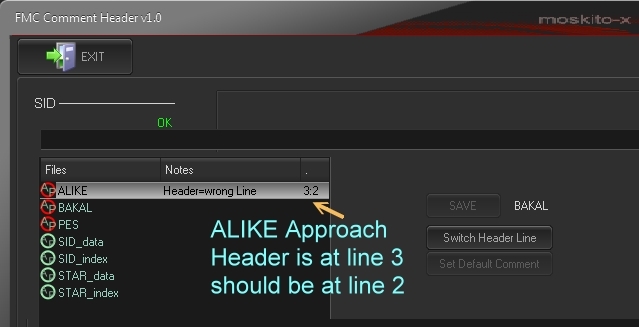 With this extra line( maybe the line is valid ) but with "1" the header should be at line "2" but is at line "3"
zero count means line 1 = 0; line 2 = 1 etc. 1 <---- "1" is not OK should be "2"
22,OTRET 1E BAKAL NDB,22 NDB Z DIRECT,, <- ,, == no waypoints count this is a heavy mistake !! With my new job, I am not at home during the week and it is very very hard to find time to work on panel. Please, be patient....I am close to complete the universal panel to work with all aircraft version with max of common files. If I interpret "predictive" correctly, you mean something like? Basically v1=v0+a*t, where v0 is GS or TAS, "a" is the current longitudinal acceleration and "t" is the time to waypoint. I figure something similar applies to altitude. I'm not sure if (A:GPS WP ETE, seconds) is constantly updated. The GPS Guidebook also has "(C:fs9gps:FlightPlanWaypointEstimatedTimeRemaining, minutes)", which, according to the description, is constantly updated (page 174; mind the "minutes" unit!). Where can I get the update of FMC Airport Creator-Manager. When I download from FreeNavDbGroup the file "FreeNav AIRAC file update" where I can read at what Airac cycle it is updated? The creation date of each single airport definition corresponds approximately to the used AIRAC at that date. All AIRAC data are manually selected and collected in the database, currently within the pack "FD_FMC airports pack V4 02032018.zip". Ah ok, therefore the 02032018.zip means that the airac cycle could be 1802? Flavio, our AIRAC is not a real AIRAC. 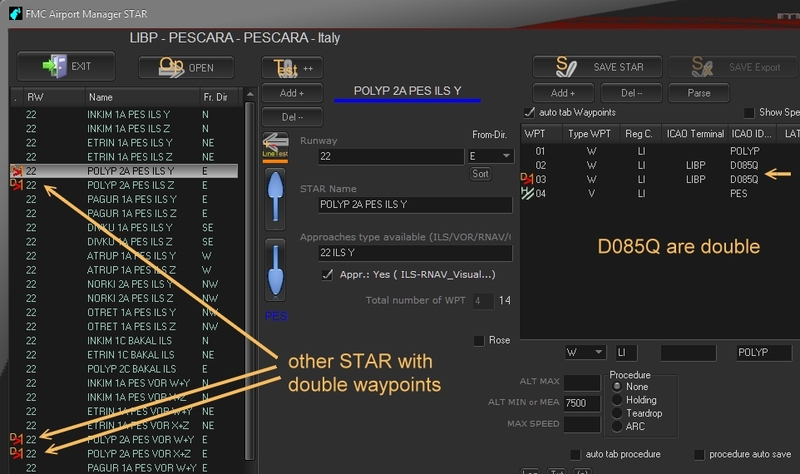 This is only an addon waypoint database for FSX updated each month about new airport procedures that we create for FD-FMC. I called files AIRAC but it is not an AIRAC. Real AIRAC is only for payware FMC. Last edited by fdd_fr on 04 Mar 2018, 16:18, edited 1 time in total. Is this what you were loking for? I tried Bjoerns update and had a whole host of problems. -The downloaded sounds didn't work, even after renaming to match the sound.cfg entry. -I loved the FMC and set it up and took flight, I wasn't able to select GPS until I was in flight. -The 2d sign switches don't work. -finally, it blanked out all my saitek panels and they return ok as soon as I load another aircraft. On the plus side, it looks great and I would use it if I can still control it via hardware. I think I will wait until a proper release to try again! I think RMP power is still tied to the avionics master switch. Use the endless conversation I had with Wulf a few pages back as reference. Support for exotic hardware will always be second nature. There'll never be a proper release and it'll always be experimental. Maybe a proper and updated manual at one point, but never something you just can plug in and go and hacve it work with everything. If you want compatibility, stick to Francois official release. It was the seatbelt and the sign next to it but I have forgotten the name. As for the hardware, every single aircraft has been ok with it, even the likes of Majestic and A2A which need a bit of programming via LVARs. Maybe I didn't install right, I will have another go when if you supply one zip file with everything in the right place. Hopefully Francois will at least use the FMC and the change of the terrain click spot. A new month ( March ) this month is not limited. All interested Users are welcome. Users must have a "Project Airbus" forum account. Recently I am the program "FMC Airport Manager Creator" going to use. I use the program now to my existing airports to correct. In addition to the cosmetic side, there appear to be given further big errors in my airports.For example in LEIB, Ibiza, are gross errors. These errors were visible with the FMC Airport Manager. I urge the "airport creators" to use the "FMC Airport Manager",in order to achieve a minimum standard. As all my airports are updated,I'm going to do the new airports with the FMC Airport Manager. This can also be a beginning for the "airport creators" to get in touch with each other,to make known to each other's working methods and insights. I think the "FMC Airport Manager Creator" through a strong help to attain that objective.